Make work easier by integrating your two most valuable business platforms. 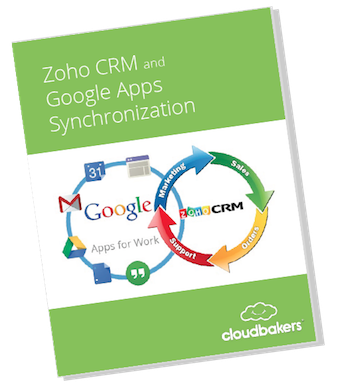 Need help setting up a synchronization between your CRM and Google Apps for Work? Well you're in luck because we've created a guide to help you do just that! This eBook includes both end user integration points as well as domain-wide points of integration. Enjoy the flexibility you'll have once you set up this sync. Work from within your Gmail inbox or Zoho interface -- whichever enables you to be more efficient within your workflow.